As many as one-million people pass through Kolkata’s railway stations every day. The chaotic press of humanity in motion at the railway stations presents special challenges to families traveling with small children. On occasion, children get separated from their parents and end up living a “Lord of the Flies” existence with other lost children. These lost kids quickly learn to survive by stealing from travelers and by scavenging for food in trash bins. Younger kids are pimped out by older kids to steal from others and must meet a daily quota or suffer the consequences. Navin and Matilda. Compassionate beyond measure. Years ago, my friend Navin and his wife Matilda became aware of the plight of the lost railway kids. They were so burdened by what they discovered that they prayed and fasted as they sought God’s direction about what to do. They knew that looking the other way was not an option. This compassionate couple did the only thing they could — they decided to open their own home to care for the kids they rescued from the railway stations. Two little girls rescued from the railway stations. Today, they have fifteen kids under their care. To say that the transformation in the lives of these kids is amazing would be an understatement. God has used Navin and his wife to lead these kids to faith in Christ, to educate them, and to give them a bright future. Not long ago they were living like animals and eating out of garbage bins. Today, they are courteous and well-behaved kids with aggressive plans for their future. Two of the boys want to attend seminary and the rest want to go to medical school to study nursing. 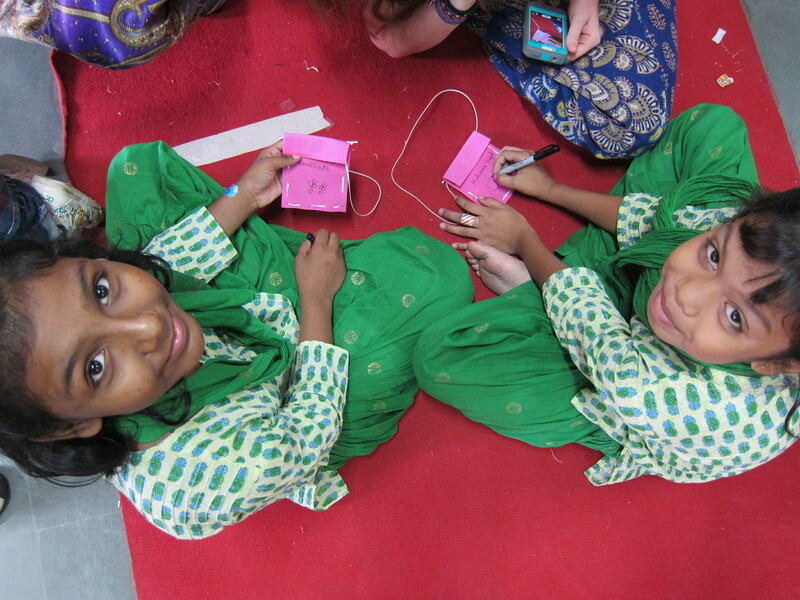 Two girls working on a Bible story craft. 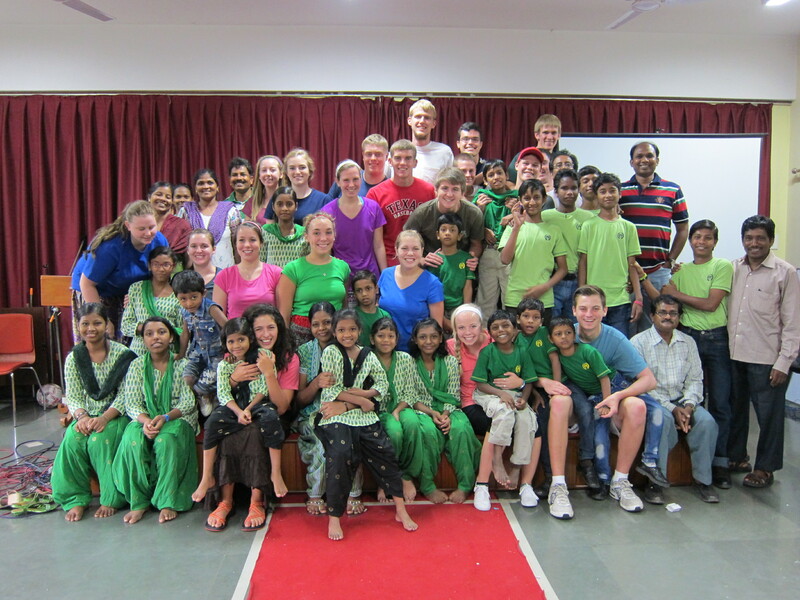 Kingsland students with the rescued railway kids. We spent several hours with Navin’s railway kids today. We sang together, acted out Bible stories through skits, listened to the kids share their memory verses, and sat amazed as a seven-year old preached a brief message. 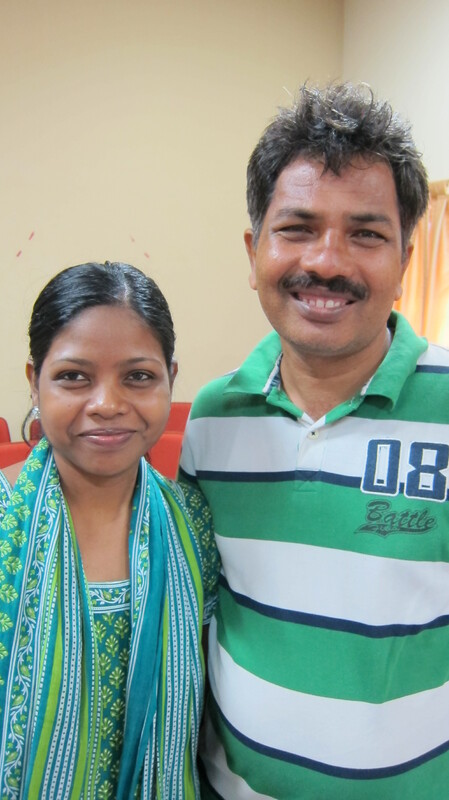 Navin and his wife are a living example of what can happen when Christ-followers are willing to go beyond and do more than they have ever done for God and His purposes. They have given up a lot of things in order to do what they do. However, the smiles on their faces tell us that they have gained some things that are beyond value. Kingsland team (and friends) at Nirmal Hriday, home for the dying. 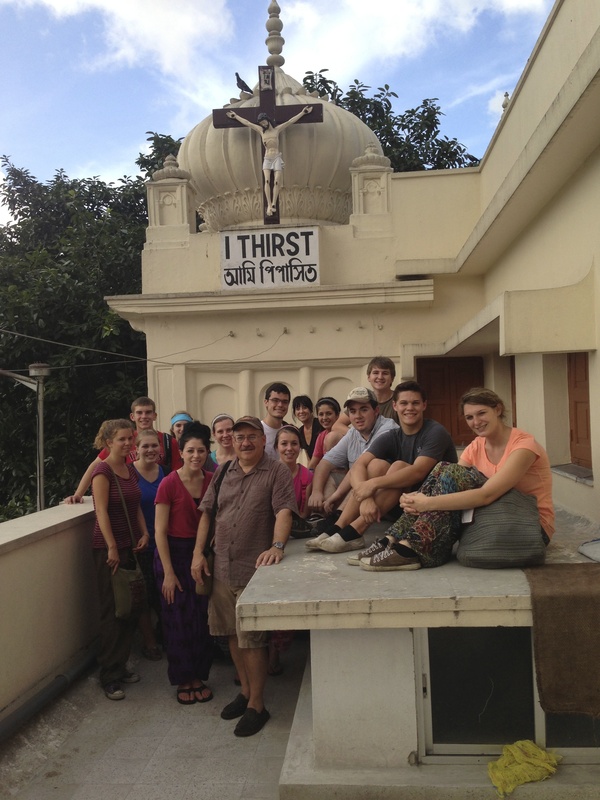 This afternoon our teams served at two of Mother Teresa’s homes. Our team of guys that served at Nirmal Hriday saw a man take his last breath. This morning, someone carried the man from the streets where he had spent his life to Mother Teresa’s home where he died with a measure of dignity. As a last act of kindness just moments before he died, one of our students massaged his tired limbs and sat with him. Our team that served at Daya Dan had a fulfilling but emotional afternoon as they cared for severely handicapped children. 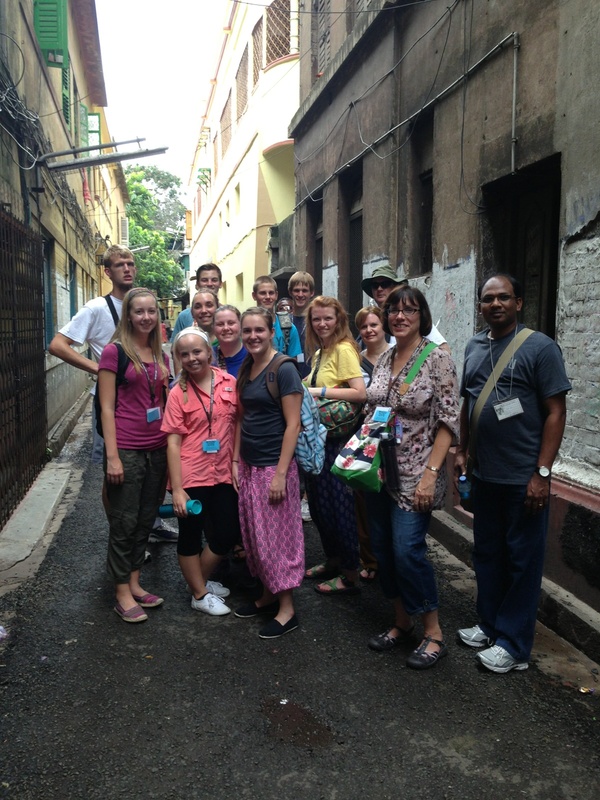 Kingsland team en route to Daya Dan, home for special needs kids. Last year, my friend Ashok Andrews, the pastor of Kolkata Christian Fellowship, shared something with me that I have not forgotten. He said, “My life is a single candle. I therefore prefer to burn it in a place filled with darkness than in a place flooded with light.” Navin and Matilda are indeed lighting up some of Kolkata’s darkest places. And our students are learning the importance of what it means to be a candle in places where love, hope, and acceptance are dim. Thanks for following our journey and for praying for our students. 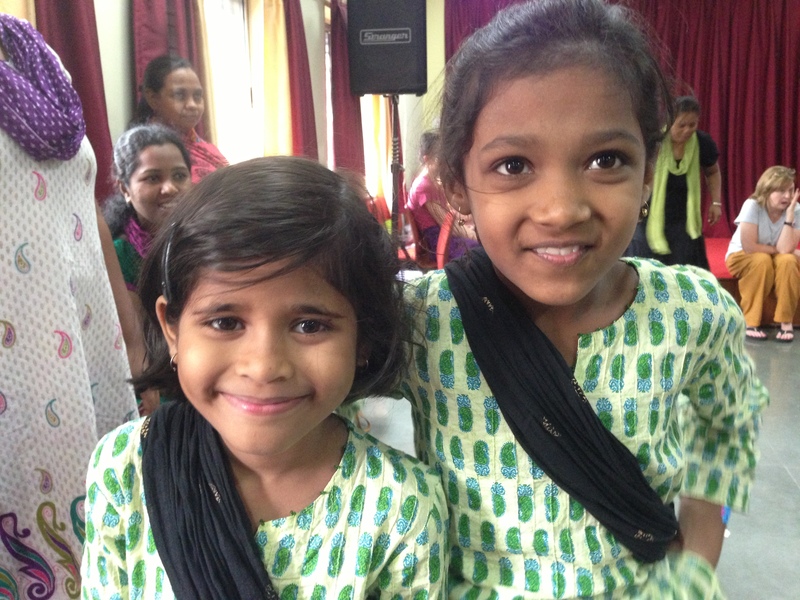 Our guys leave for the Sunderbans in the morning and our girls will continue their work with our justice partners in Kolkata. We will be back together again in Kolkata on Tuesday. I hope to be able to post from the islands but am not certain if I can. So, stay tuned. And remember that you can see more photos of our students on my Instagram account @omarcgarcia. So thrilled yall got to spend time with the Railroad children. Navin and Matilda so touched my heart when I met them. Their story of faith is an incredible journey and to see the progress of these children is a sweet sweet blessing to see. It was a sweet time, Auntie. Navin and Matilda are such an inspiration. The kids are beautiful inside and out.